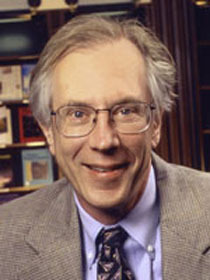 In a 1982 experiment with the protozoa Tetrahymena thermophilia, biochemist Thomas R. Cech discovered that ribonucleic acid (RNA) could act as its own catalyst, stimulating its own chemical reactions. Until then, scientists had believed that RNA was only a carrier of genetic information, so Cech and his team spent the next year double-checking and scrutinizing their results for a hidden protein "contaminant". His original finding was startling but eventually proven correct, showing that RNA can trigger the biological reactions previously thought to be catalyzed solely by proteins. Cech shared the 1989 Nobel Prize for Chemistry with Sidney Altman, whose separate research led to the same discovery almost concurrently.